Quit busting up your expensive pedals. 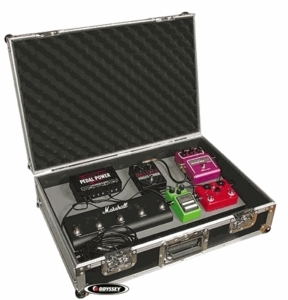 Our ATA pedal cases allow you to keep all your pedals connected and mounted to the included slanted pedal board. Ready to go in an instant but safely covered during transit. Includes velcro strips to attach pedals to board. Fits pedals up to 24" wide on a removable plate.